Bluestar Communications provides additional TV antenna outlets that residents of Canberra need to watch their favourite shows throughout their home. Gone are the days when a house only had a TV. Now, most properties enjoy two or more TVs in different rooms of the house. 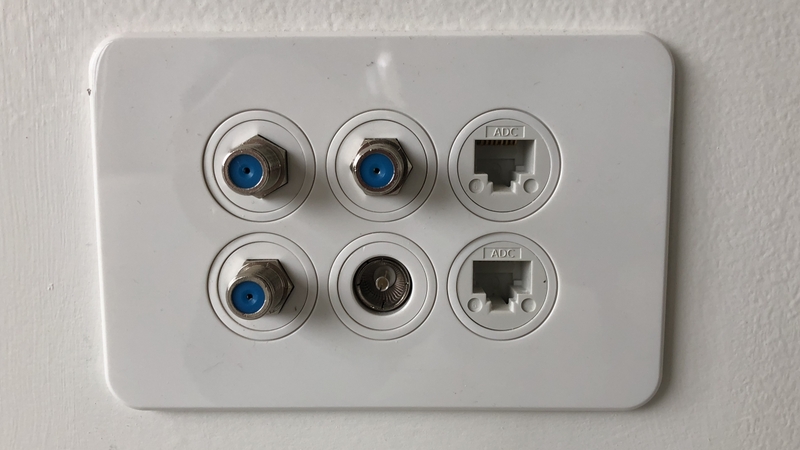 However, to receive the TV signal, the device must be connected to a TV antenna outlet – and our technicians can install additional outlets. Most properties already have a TV antenna outlet that connects to the living room or the main room of the house. Additional outlets are less common. Bluestar Communications has qualified technicians to help you. We can install TV antenna outlets almost anywhere in your home and make sure you receive a good TV signal from them. When it comes to installing the TV antenna outlets, Canberra residents can rely on Bluestar for the installation of their TV antenna outlets. We carefully evaluate your property to ensure that we select the most appropriate installation points. In many cases, antenna outlets can be integrated directly into the cavities of your walls, minimising disruption to your property and avoiding cable runs around the building. Where cavity installation is not advisable, we also offer a multitude of internal and external duct solutions, providing an orderly, no-frills connection every time. This can be hard work – that’s why you should always leave it to the professionals. With more than 28 years of experience in additional TV antenna outlets and more than 17 years trading as Bluestar Communications, you can count on us to deliver the results you expect. As well as fitting new outlet points in your property, Bluestar’s trusted engineers can install signal boosters at strategic points around the property. This ensures that however far from the aerial the outlet may be, the signal is still strong and clear. There will be no more hazy pictures or dropped connections during your favourite shows! If you feel your business property or home would benefit from extra TV antenna outlets, get in touch with Bluestar Communications in Canberra today. We can provide a comprehensive no-obligation quote for the task in hand, and offer a full consultation at your property to discuss antenna outlet solutions. Call now on (02) 6296 4004.